WASHINGTON, D.C. -- On Wednesday, the U.S. House of Representatives passed legislation with the support of Congressman Bill Posey (R-Rockledge) to delay for one year the Affordable Care Act health insurance mandates on both employers (H.R. 2667) and individuals (H.R. 2668), which are part of the 2010 health care law. Citing the burden of complex regulations on businesses, the U.S. Treasury Department and the Obama Administration recently announced that President Barack Obama will unilaterally suspend the January 2014 statutory deadline that requires employers to provide government approved health insurance to employees but he will keep in place the provision that mandates that individuals buy federally approved health insurance or face a fine. The health care law requires that the mandates for individuals and businesses take effect on January 1, 2014. Posey's office said in a release that "The Administration's decision to ignore the clear language of the law by suspending the mandate for businesses while keeping the mandate in place for individuals flies in the face of the clear reading of the legislation." 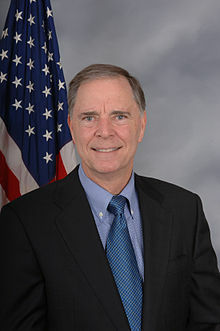 Posey's 8th Congressional District of Florida encompasses all of Brevard and Indian River Counties, and a portion of east Orange County, including the communities of: Bithlo, Canaveral Groves, Cape Canaveral, Christmas, Cocoa, Cocoa Beach, Eau Gallie, Fellsmere, Frontenac, Grant, Indialantic, Indian Harbour Beach, Indian River City, Malabar, Melbourne, Melbourne Beach, Melbourne Village, Merritt Island, Micco, Mims, Palm Bay, Palm Shores, Port Saint John, Satellite Beach, Sebastian, Sharpes, South Patrick Shores, Titusville, Valkaria, Vero Beach, Viera, West Melbourne and Wedgefield.